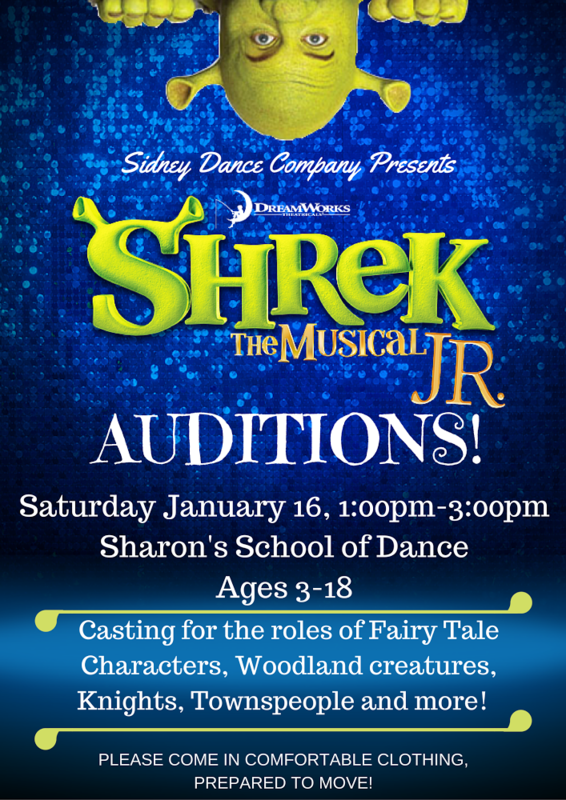 Sidney Dance Company is holding open auditions for Shrek The Musical Jr. for ages 3-18. Casting for the roles of Fairy Tale characters, woodland creatures, knights, townspeople and more! Auditions will be held on Saturday, January 16 from 1pm-3pm at Sharon’s School of Dance (104 E. Poplar St. Sidney OH, 45365). Wear comfortable clothing and be prepared to MOVE! This entry was posted on January 2, 2016 by Stephen. It was filed under Events, Shows and was tagged with Audition, SDC, Shrek.